Posted on July 16, 2014, in Baseball Jersey Design, Geeky Jerseys and tagged Baseball, baseball jersey design, Cartoons, Films, Samurai Jack. Bookmark the permalink. 6 Comments. Well, here’s one who greatly appreciates this jersey! Man, I’d love one of these… great work as always. I hear the comic book series by Jim Zub is pretty good if you’re a fan. I would love this shirt! 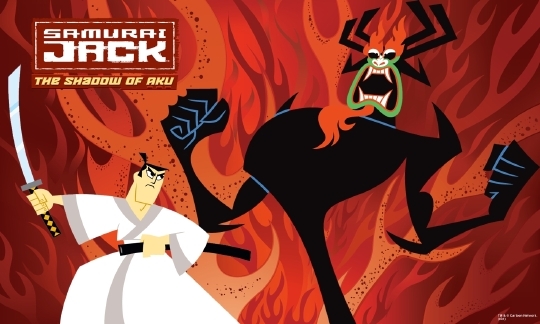 I remember several years ago when JJ Abrams was committed to making a Samurai Jack movie, and squealed like a girl before passing out. But it was all lies. Lies, JJ! Instead he started 8 more TV shows and took over every sci-fi property in Hollywood. I guess that kind of worked out for him, actually. OMG… I would buy this right now if it was for sale.